. 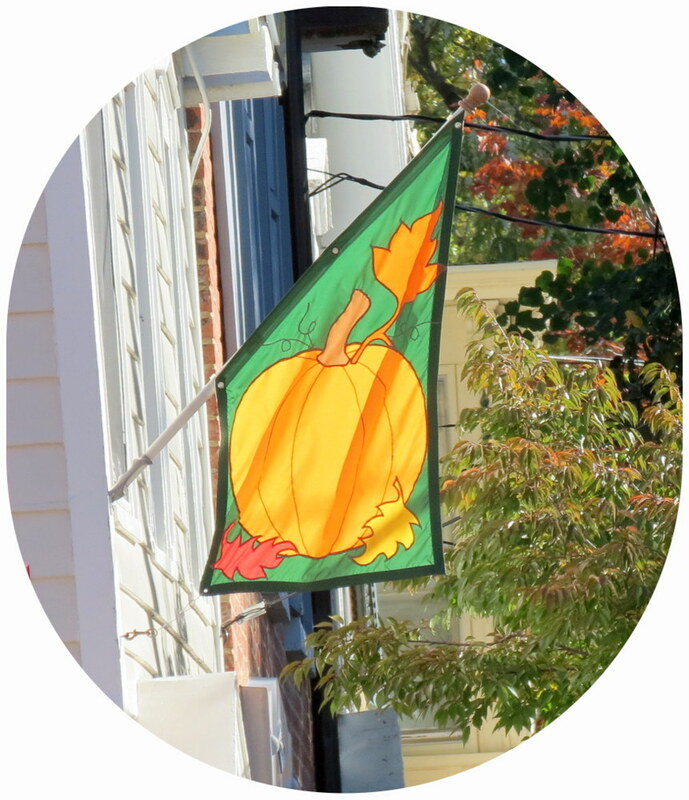 . . above: Welcome Pineapple [L] and autumn pumpkin banners flying over the front doorway of 3 Front Street in 2015 . .
Kathy Johnson gave much to the Stockade in her decades living on Front Street. 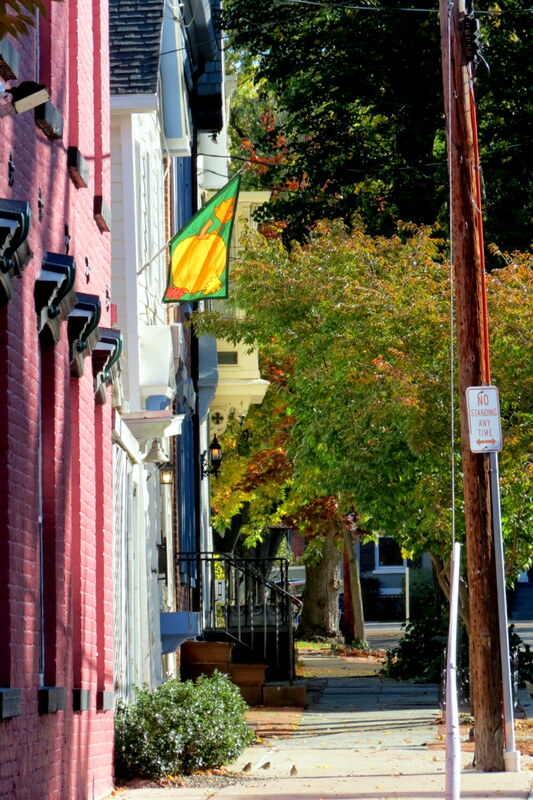 Even if they didn’t know of her service on the Stockade Association board or years organizing the Walkabout, or didn’t in fact even know her name, Kathy touched her Stockade neighbors with her legendary, lush window boxes and the perennially colorful banners that playfully celebrated each season. 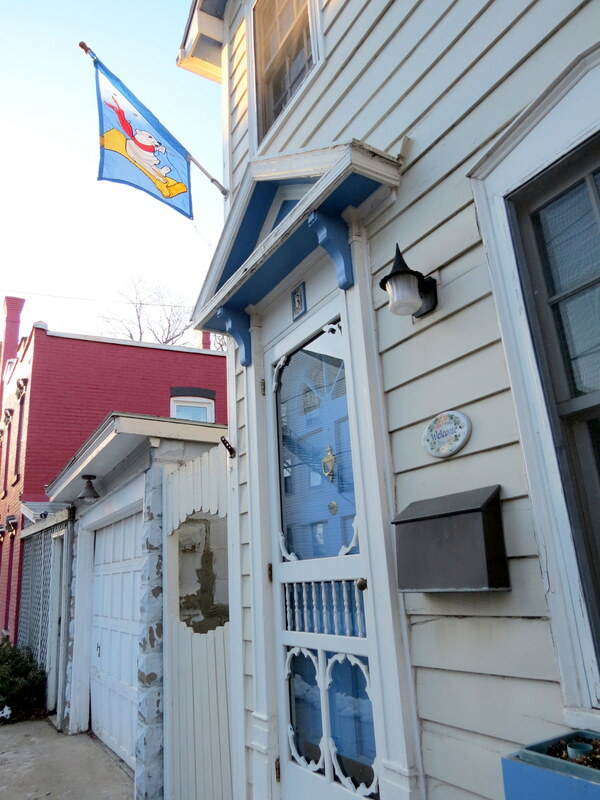 The empty flagpole and window boxes on her lovely little home at 3 Front Street are sad reminders that Kathy passed away on April 11, 2016. 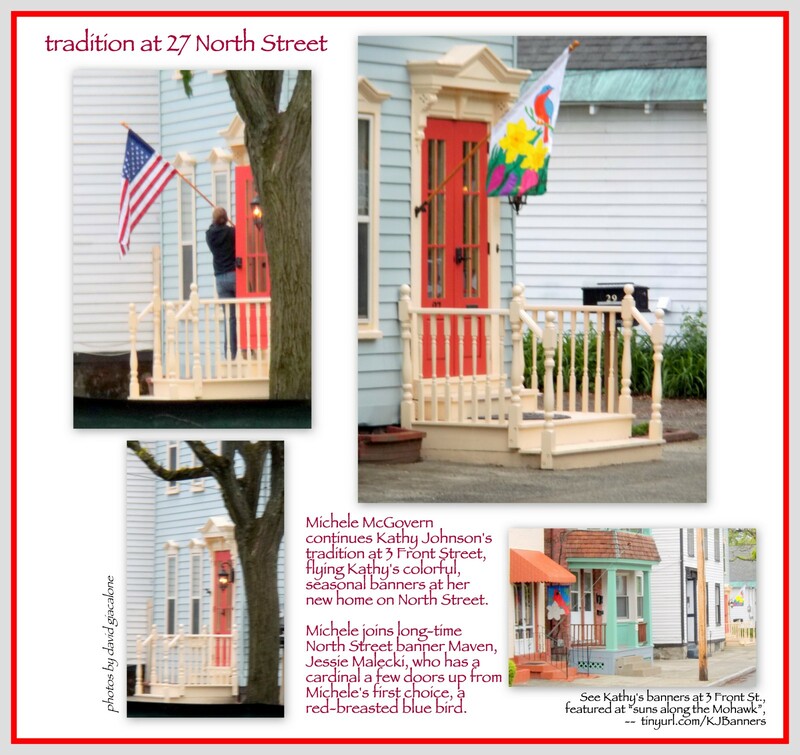 So, I was very pleased to read in the May Spy that members of the Stockade Book Club will be striving mightily to recreate Kathy Johnson’s window box displays. 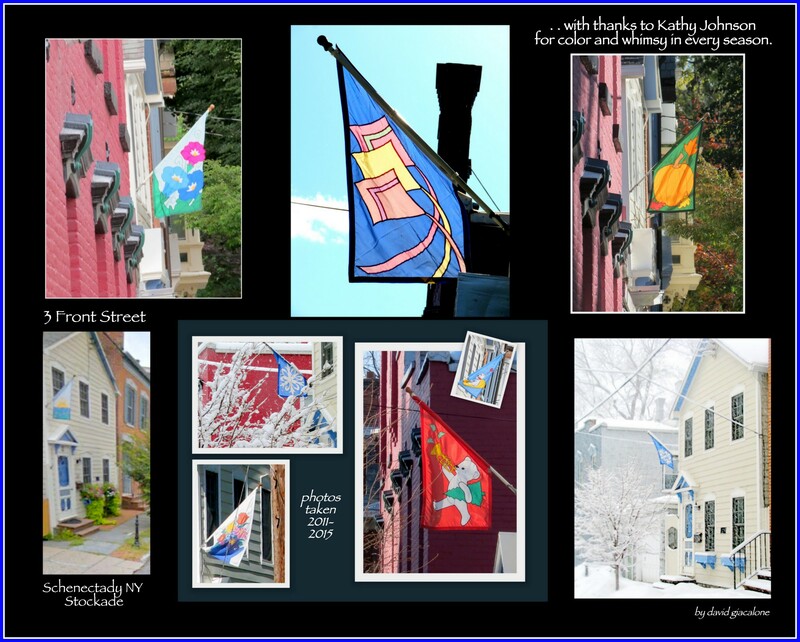 And, although I won’t be climbing up to outfit her flagpole several times a year, I hope to recreate a bit of the joy her banners brought many of us by sharing a collage of photos taken by me over the past several years of the varied flags Kathy hung for us as the seasons changed. 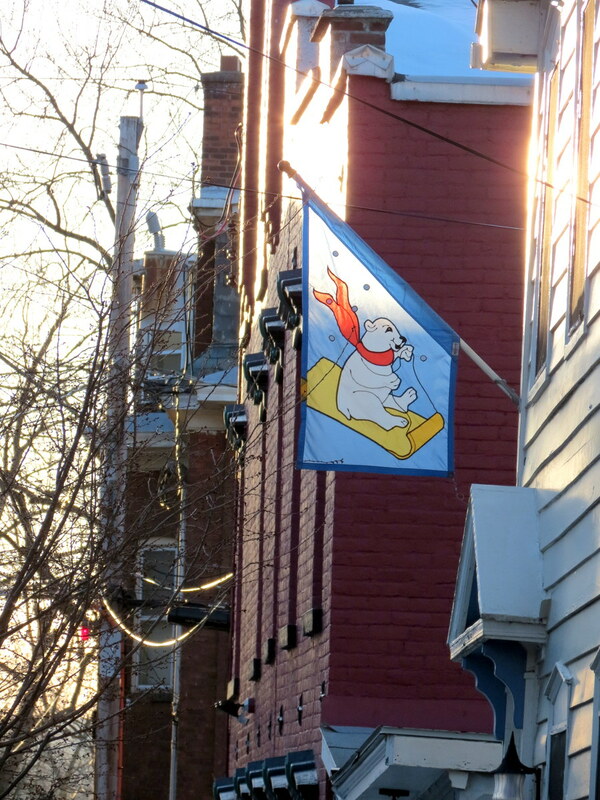 It’s a poor substitute for festive flags catching the wind and sun, but I hope it reminds all of us of Kathy’s contributions to the Stockade, and of the small joys we can give each other with just a little effort and a friendly gesture. . . click on the collage for a larger version. 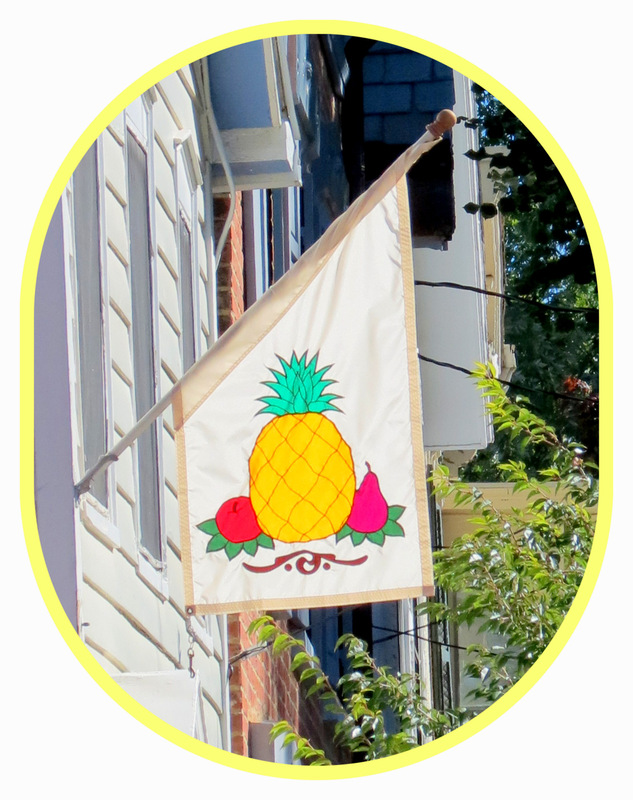 . . Kathy’s banners were created by the Master Flagmakers of Bisgrove Designs, Newburyport, MA . .
p.s. 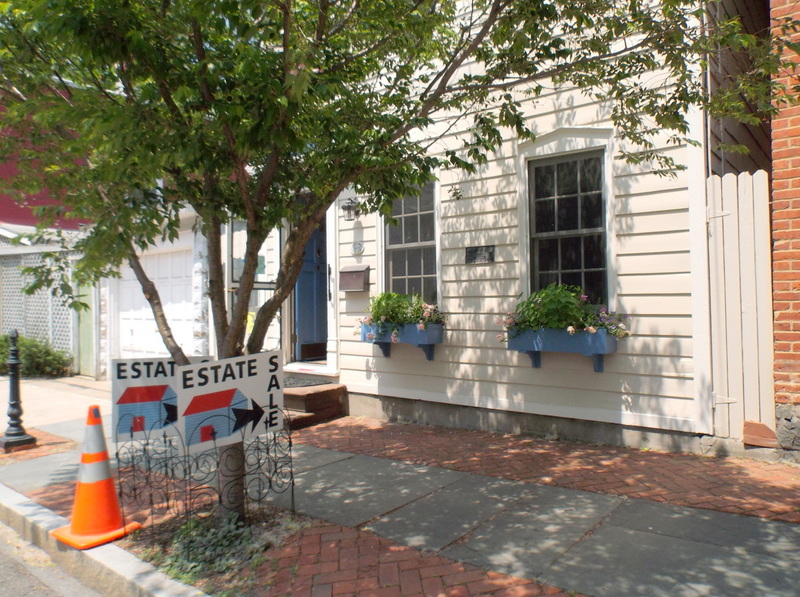 There are a few photos from an Estate Sale at Kathy’s 3 Front Street, in our posting of June 3, 2016. Thank you for letting me know the piece touched you, Peggy. 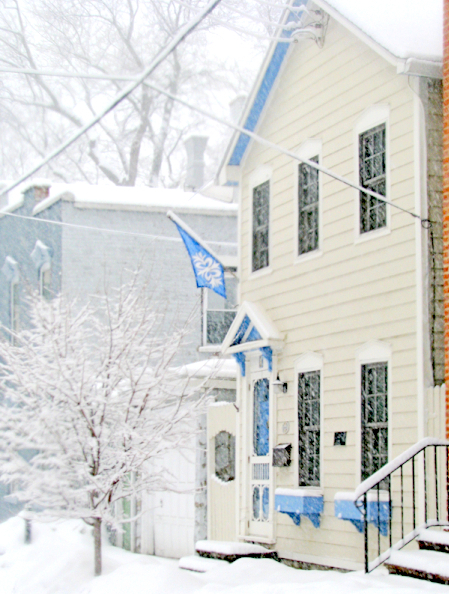 Living just a couple doors down from Kathy, I’m sure you appreciated Kathy and all her works better than most of us.